Harmless ski resort fun, parental failings or blatant sponsored alcohol viral marketing? You decide. Madonna is in the Swiss Alps living the rich and famous life with her diverse brood, and she posted some pictures on the social media site Instagram that are making some waves. Madonna used Instagram to post shots of her biological son Rocco and his pals holding bottles of booze to celebrate their vacation. 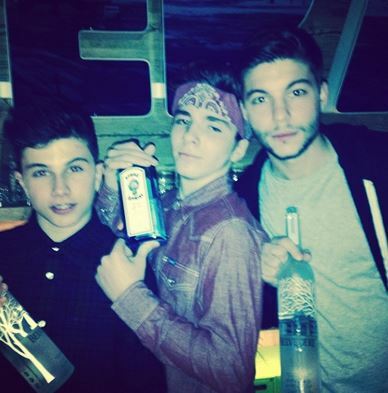 The singer posted an Instagram photo of her 13-year-old son Rocco and his pals holding bottles of alcohol.“The party has just begun! Bring it! 2014,” she captioned the shot.